The festive season paves the way for outrageous glam. If there was ever a time to get a little dramatic with your beauty routine you will now find yourself in the midst of it. A manicure can change an ensemble or a look. Whilst seeking my favourite shades that I have picked up over the years I was drawn to an array of Nails Inc. 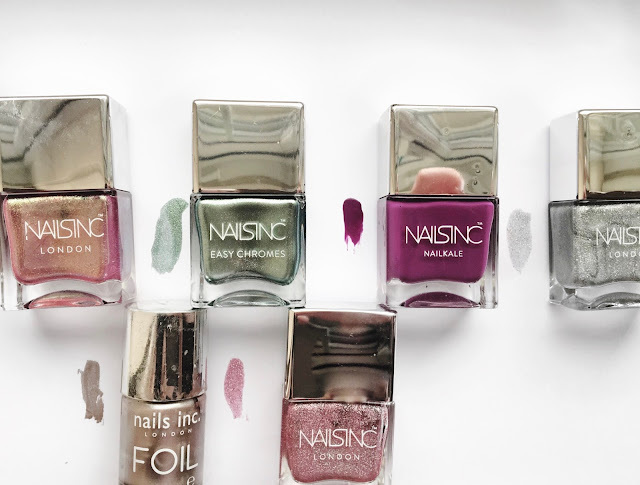 When it comes to your dream manicure there are no boundaries and these colours have not only accompanied me to weddings, vacays and nights out but they quite simply add a little personality into my everyday look. Quite simply put, they never fail me. 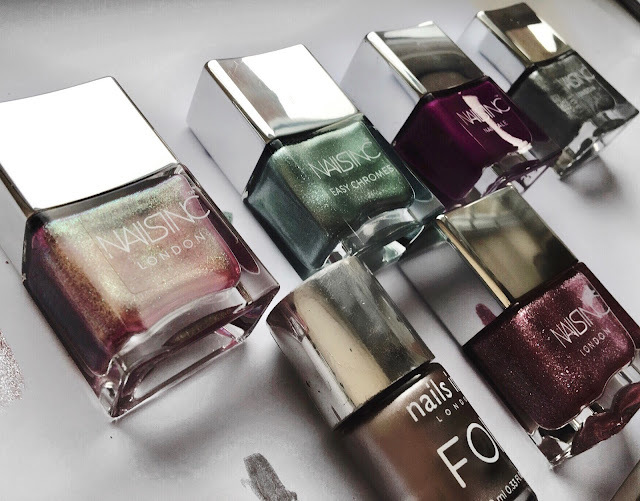 Priced around £12- £15, with the inclusion of both the Sparkle Like a Unicorn and Holographic duos, these polishes will not only last you for the year ahead but remain chip proof when paired with a top coat. Nails Inc. also offer a £5 a year VIP service in which 10% discount is applied to purchases made online. Both It's all Elementary and Kings Road, a chrome and foil are subtle yet far from boring. In contrast Dream dust, Rocket fuel and Ghetto Galatic do more than what their name would suggest flourishing whilst under an array of lights. However it is Nail Kale that I find myself lusting after day after day, to say I have used this plenty during the AW17 season is something of an understatement. Which is your favourite colour this coming party season? If you are like me I rarely find time to go for a manicure but why do I need to when these awesome shades are literally at hand?